Taking your event to a new high used to mean something else before October 17, 2018. While the legalization of marijuana is still new to the Canadian cultural landscape, the future of event planning may involve many more shades of green. The nascent and rapidly expanding cannabis market — the legal one, at least — brings a whole new set of opportunities for planners. Large-scale events like conferences are a great way for cannabis growers and retailers to gain market traction; they’re also a fantastic way to differentiate your brand and get your company’s name out there, too. I am currently working with my first cannabis sponsor — a grower and producer — and find the potential to enhance our event exceptionally exciting. Think about the potential for unique event elements: pot plant centrepieces, budtenders instead of bartenders, wedding weed and munchie bars, runner’s high clubs, trade show booths with weed merchandise — maybe even cannabis auction packages. There’s even an opportunity for some cool team-building exercises: joint rolling classes, cooking with cannabis, seed-to-table workshops, glass blowing demos to create paraphernalia, high yoga — the list of activities is long and getting longer. As the space becomes professionalized, the options will become more numerous and better-polished. Event swag your guests will love might take on a new meaning. For the first-time, every nominee of the 70th annual Emmy awards received a swag bag full of high-end cannabis goods and gadgets. Similarly, speaker gifts could include high-end marijuana edibles. It can even be incorporated into floral arrangements, ready to be enjoyed when the time is right. 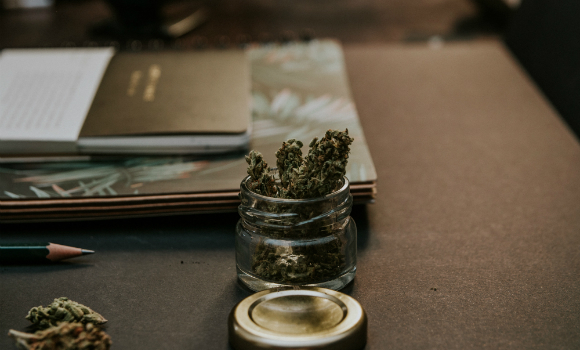 Adding a bud bar service full of joints, glass pipes, one-hitters and small or large vaporizers allows for some great on-the-spot educational moments to help guests discover their ideal strain and preferred consumption methods. Conference offsite activities including cannabis tours of a local shop or grower, cannabis lounges, wine & weed study tours, or cannabis spas. Cannabis lounges, like the holistic and membership-based vape lounge in Natural Budz can provide space for marijuana users to consume cannabis. Cannabis regulations vary from province to province, and sometimes even city to city — Richmond Hill and Markham, neighbouring municipalities in the Greater Toronto Area, both opted out of future plans to allow private retail cannabis stores, while others intend to allow them. Understanding these differences, and knowing which spaces can legally host your event and what it entails, will help to ensure that your event is on the up-and-up. Similarly, event planners and event staff of the future will need to be educated on how to handle over-consumption and manage potential health risks caused by consumption of marijuana. Treating someone who is high might not be the same as treating someone who is drunk, and special training may be required. Exactly what effect cannabis legalization will have on the events and corporate meeting space is difficult to predict, but it’s safe to say it’ll be substantial. Widespread acceptance means it’ll be a welcome element outside of cannabis-focused conferences, and legalization means planners can actually include it as a line-item — if the local laws allow it. If they do, don’t just include cannabis — incorporate it into your event’s theme and amplify your message. Cannabis is planning professionals’ new creative outlet, and more importantly, an opportunity not to be missed. This entry was posted in Event Operations and tagged cannabis, creative planning, event planning, laws, legal.